Mo Farah is hoping for another top field and a rematch with Kenya’s world record-holder Eliud Kipchoge when he returns to race the Virgin Money London Marathon in April. The 10-time global track gold medallist believes he still has much to learn about the 26.2-mile event, despite having broken the European record with 2:05:11 to win in Chicago last month, and wants to continue to test himself against the world’s best. As Farah ponders whether to race on the road or return to the track at next year’s IAAF World Championships in Doha, he revealed that he also hasn’t made his mind up when it comes to which event he might target at the 2020 Olympics in Tokyo. 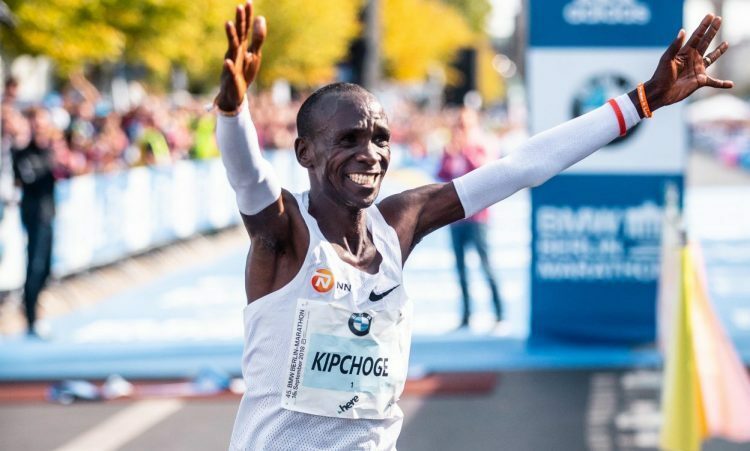 He views the London Marathon on April 28 as an important marker ahead of his global goals and isn’t shying away from facing Kipchoge, who ran his incredible record-breaking time of 2:01:39 in Berlin in September. Farah finished third in a then British record of 2:06:21 when the Kenyan ran 2:04:17 to claim his third London Marathon victory earlier this year. Should Kipchoge choose to defend his crown, does the Briton believe he can be dethroned? “Eliud can be beaten,” he says. “But I don’t think there’s anyone who can beat him at the minute. In order to learn and know what Eliud does so well I need to race him more often. “He is far ahead of anyone else and his world record was incredible. He’s a great athlete. “I want to race against Eliud. I feel like I can beat him at some point. I don’t know when it will be yet. While Farah believes that he could have gone quicker in Chicago last month, he says that going sub-2:04 will be a big ask. “At the start, I felt a bit stiff, a bit heavy,” he says, reflecting on his run in the US city. “But towards the end I was strong and I felt like I could have gone faster. But it’s not just on the roads that the four-time Olympic gold medallist is proving his speed. The 35-year-old explained that it was while training for the Chicago Marathon with coach Gary Lough that he started to realise that a track return couldn’t be ruled out. Women’s marathon world record-holder Paula Radcliffe, who was also guided by her husband Lough during her career, recently told AW how she believes Farah could still go quicker on the track and it’s a notion not dismissed by the man himself. “Looking back, last year when I was training for Chicago I was putting in great (speed work) sessions,” Farah says. On his relationship with Lough, he adds: “I really like Gary and have got to know him so well over time. We spend a lot of time together in the house, in training camps and you can see what he’s done for me in what hasn’t even been a year. Could that also lead to a bid for further global track medals? “I feel like I can still win medals and I can still do as well as I have done over the years,” says the six-time world 5000m and 10,000m champion. “If there was a chance for me to compete, I wouldn’t turn down a medal. It gives me a great option.